Washington Gov. Jay Inslee announced he’s running for president in 2020. 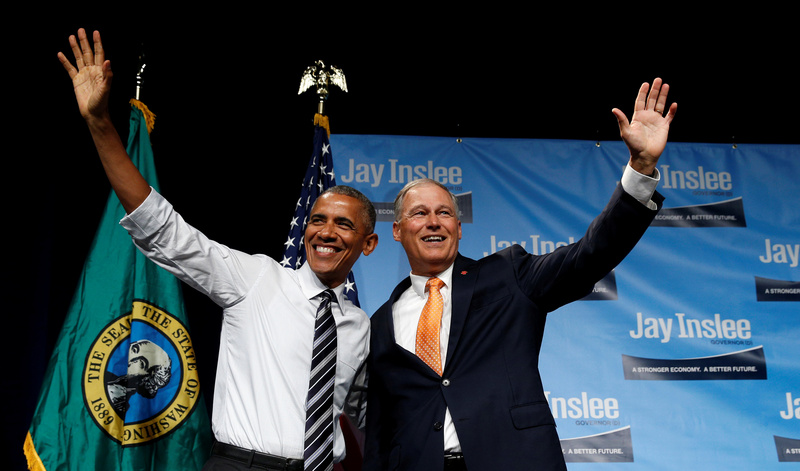 Inslee will make fighting global warming the centerpiece of his campaign. The governor did not endorse the Green New Deal supported by other Democratic 2020 hopefuls. Democratic Washington Gov. Jay Inslee will seek the presidential nomination in 2020, adding to the growing field of Democrats seeking to challenge President Donald Trump. 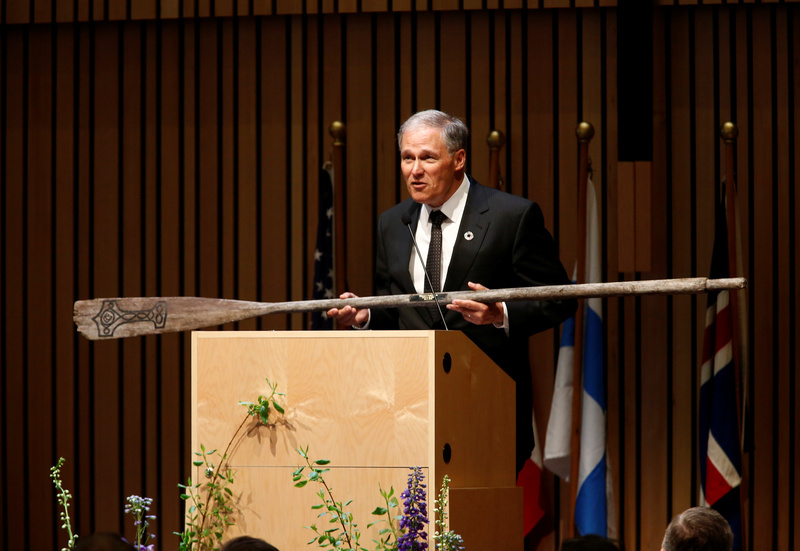 Governor Jay Inslee presents an oar as a gift to the museum during a gala at the Nordic Museum in Seattle, Washington, U.S. May 4, 2018. REUTERS/Lindsey Wasson. U.S. President Barack Obama waves as he arrives to speak at a fundraiser for Washington Governor Jay Inslee (R) in Seattle, June 24, 2016. REUTERS/Kevin Lamarque.